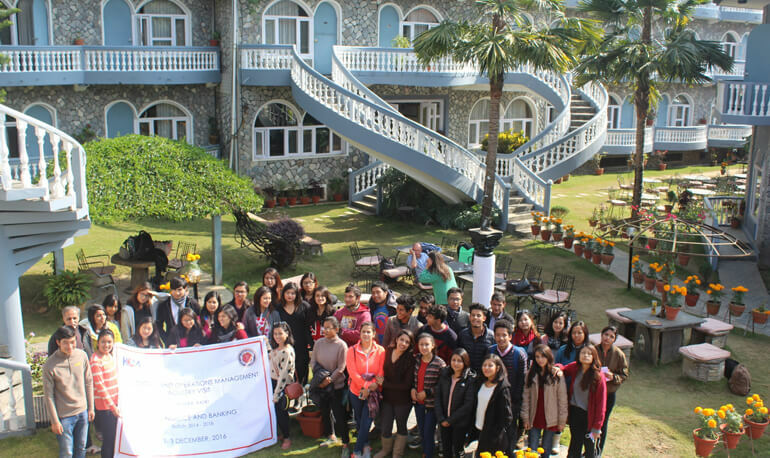 The third-year students of Finance and Banking section visited Pokhara from 1st December to 3rd December. This field trip was regarding their course “Production and Operations Management”. In this tour they visited four industries including Sujal Foods, Pokhara Noodles, Manakamana Plywood and Himalayan Food Industry. In all of those industries, the students observed the production and operation process of the factory. The students got an oppurtunity to clear their quieries regarding production and operations in such industries by the facilator himself.After the Visit, the students were allocated with five different restaurants of Pokhara, where the students observed how the operations of such restaurants were conducted. On the day of departure, there was a short interaction session with the alumni’s of KCM, who were operating their business in Pokhara. This session was totally focused on the Experience sharing of the alumni and present scenario of Nepalese industry. This session was formally closed with a short speech by Mr. Bishnu Raj Adhikari, Principle of Kathmandu College of Management.